It is easy to pin the blame on U.S. President Donald Trump, his erratic agenda and impulsive statements. 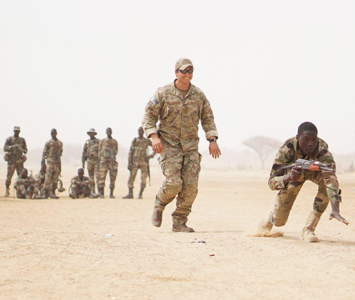 But the truth is, the current U.S. military expansion in Africa is just another step in the wrong direction. It is part of a strategy that had been implemented a decade ago, during the administration of President George W. Bush, and actively pursued by President Barack Obama. 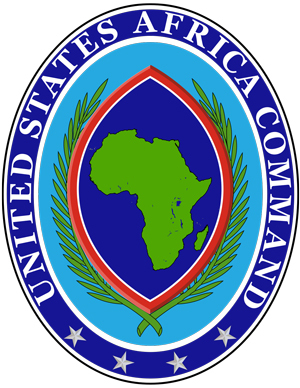 Following the death of four U.S. Special Forces soldiers in Niger on October 4, 2017 U.S. Secretary of Defense, James Mattis, made an ominous declaration to a Senate committee: these numbers are likely to increase as the U.S. is expanding its military activities in Africa. Sec. Mattis, like other defense officials in the previous two administrations, justifies the U.S. military transgressions as part of ongoing “counter-terrorism” efforts. But such coded reference has served as a pretense for the U.S. to intervene in, and exploit, a massive region with a great economic potential. The old colonial “Scramble for Africa” is being reinvented by global powers that fully fathom the extent of the untapped economic largesse of the continent. While China, India and Russia are each developing a unique approach to wooing Africa, the U.S. is invested mostly in the military option, which promises to inflict untold harm and destabilize many nations. In a 2013 speech, then U.S. Secretary of State Hillary Clinton cautioned against a “new colonialism in Africa (in which it is) easy to come in, take out natural resources, pay off leaders and leave.” While Ms. Clinton is, of course, correct, she was disingenuously referring to China, not her own country. The growth in the China-Africa trade figures are, as per a UN News report in 2013, happening at a truly “breathtaking pace,” as they jumped from around $10.5 billion per year in 2000 to $166 billion in 2011. Since then, it has continued at the same impressive pace. The real colonialism, which Clinton referred to in her speech, is, however, underway in the U.S.’s own perception and behavior towards Africa. This is not a hyperbole, but in fact a statement that echoes the words of U.S. President Trump himself. But, unlike China, Russia has a wide-ranging agenda that includes arms exports, which are replacing U.S. weaponry in various parts of the continent. For Moscow, Africa also has untapped and tremendous potential as a political partner that can bolster Russia’s standing at the UN. A stark example was the late November visit by Sudan’s President Omar al-Bashir to Russia and his high-level meeting with President Vladimir Putin. “We have been dreaming about this visit for a long time,” al-Bashir told Putin, and “we are in need of protection from the aggressive acts of the United States.” The coveted “protection” includes Russia’s promised involvement in modernizing the Sudanese army. Wary of Russia’s Africa outreach, the U.S. is fighting back with a military stratagem and little diplomacy. The ongoing U.S. mini war on the continent will push the continent further into the abyss of violence and corruption, which may suit Washington well, but will bring about untold misery to millions of people. There is no question that Africa is no longer an exclusive Western “turf,” to be exploited at will. But it will be many years before Africa and its 54 nations are truly free from the stubborn neo-colonial mindset, which is grounded in racism, economic exploitation and military interventions. Ramzy Baroud is an author and editor of PalestineChronicle.com. His work has been published in many newspapers, journals and anthologies around the world. His is the author of The Second Palestinian Intifada: A Chronicle of a People’s Struggle (Pluto Press, London). His latest book is My Father Was a Freedom Fighter: Gaza’s Untold Story (Pluto Press, London). To read more of his writings, visit www.ramzybaroud.net. This article was published on CommonDreams.org.